· Your membership is now yearly. Previously, your membership was for the calendar year. That meant that regardless of when you signed up (January 1st 2017 or July 14th 2017) your membership only lasted through the end of the calendar year (December 31st 2017). That was confusing and frustrating for members and management alike, so we found a better solution! Whatever date you purchased your membership in 2018 (January 1st 2018 or July 14th 2018), your membership will remain current for 1 year after that date (till December 31st 2018 or July 13th 2019). You will get a couple reminder emails before your membership expires so you can renew on time. · Everyone has their own membership profile. Once you're there, you can enter the email address you used to sign up for your WCA membership and choose your password. On your profile, you can update your contact info and renew your membership. You and the WCA Board are the only people who can see this profile. Type of work made (sculpture, pottery, etc): Mostly functional ware, also some beads, brooches, buttons & baubles. Describe your process and materials: Most of my work is handthrown from mid-range stoneware. I do some handbuilding and have recently started making jewelry components. What is your favorite tool? A tiny wooden spork. Please share your favorite clay tips or trick: Vinegar instead of slip for attaching stuff. When and/or how did you get started working with clay? After I retired from the Army I wanted something completely different so I went to school for art. 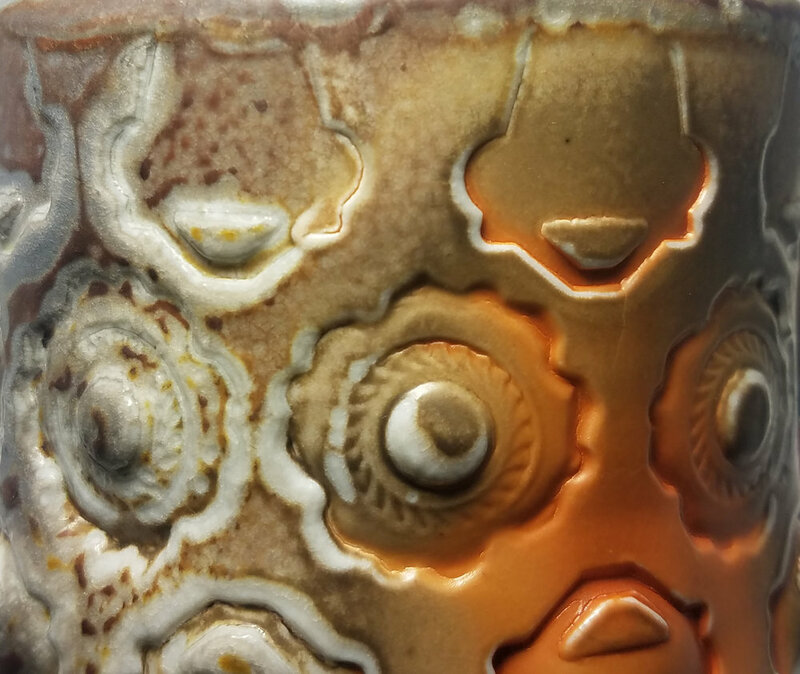 The pottery ate my soul and hasn't given it back yet. How has your practice change over time? I'm constantly pushing myself to try new things and to improve my skills. What jobs have you had other than being an artist? Did this influence your work at all? Active army for 21 & 1/2 years. I think my background helps with my time management and focus. What’s the best piece of advice you’ve been given working with clay? Just try it, it's only clay. What’s the best advice you ever gotten about creativity or being an artist? Listen to criticism and then decide whether it's valid or not. What inspires you? Making functional vessels that people fall in love with. How do you prepare to make your work? Drawing, research, etc. Research online and then sketch out basic shapes. Where do you feel most inspired? The ocean. What venues do you use for sales? Which are most successful? Etsy and local vending events. I do best when I sell my work in person. 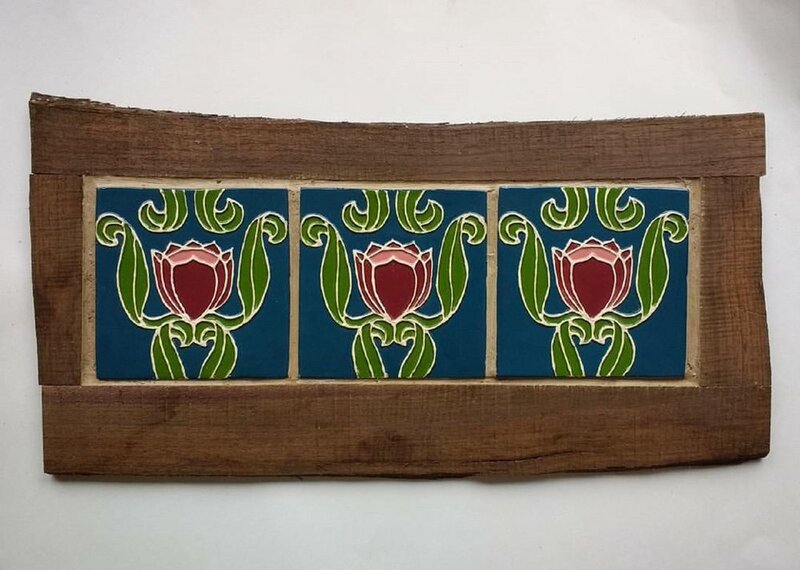 I love to share my excitement about functional art work and to establish personal connections with my customers. Was any of your work inspired by a custom order or a special request, or has customer feedback played a role in the development of any of your work? Absolutely. Some of my favorite designs were inspired by requests and me pushing my skill set to see if I could make the shapes or designs. What social media platforms do you use and which are your most successful/favorite? Facebook, Instagram. I love Facebook! What is your best marketing tip? Do marketing consistently. What is your most popular item or what is your favorite item to make? Anything with an octopus on it. Last year we held our first annual WCA Scholarship - a chance for a member to be awarded a $500 scholarship to take a class of their choosing related to clay. John Brooks received the scholarship, and he wrote an article to share what he learned! Thank you John for sharing your experience! We are still accepting applications for our scholarship for 2018 - be sure to check it out and apply! Hello! My name is John Brooks. I am a studio potter living in Olympia, Washington. I have been working in clay for sixteen years and earned my BFA in ceramics at the University of South Dakota. Six years ago I moved out to the PNW to pursue my ceramics career. I was so excited to discover the incredible WCA - what a wonderful community of clay folks! Setting up one’s own studio is a fun yet daunting task, and there can be so many things to figure out. It’s so great to have such a vast network of people that are so knowledgeable and friendly. The more we all can work together, the better it is for everyone. On top of being such an amazing organization, the WCA has a scholarship program, geared to helping Washington clay artists improve their practice. 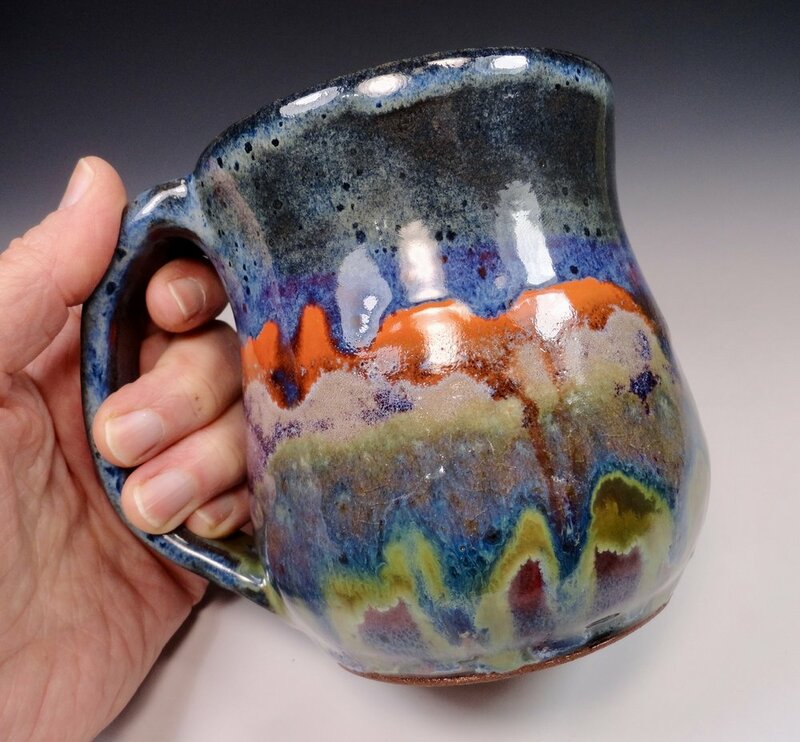 I was so humbled and ecstatic to receive the WCA Scholarship this last year which allowed me to attend a soda firing workshop with Damian Grava, as well as purchasing clay and glaze materials to test in a soda vapor atmosphere. Since working primarily out of my own studio I have been firing cone 6 electric, but had been really missing firing with atmospheric surfaces. In undergrad I fired gas and wood frequently and had experimented a little with a humble re-purposed electric updraft soda kiln dubbed “Rocket Boy”. Firing cone 6 electric was a whole new game. I do enjoy firing electric, but it is undeniable the pure thrill of magic one feels when firing a soda kiln. So many variables are different. The form of the object must be considered for soda, not only in consideration for the way the fire will wrap around it and the soda blasting it when introduced, but also the proximity of that object with its surrounding ceramic companions. Depending on placement, one can affect flash marks on raw or slipped clay bodies. The process of identifying the various properties of the clay and how they determine the interaction with slip, glaze, and vapors in the kiln. I would like to build my own soda kiln in order to explore these variables more in depth. Damian’s workshop was a dynamite immersion in throwing, geometry of clay bodies, slip work, firing, loading styles, and kiln construction techniques. 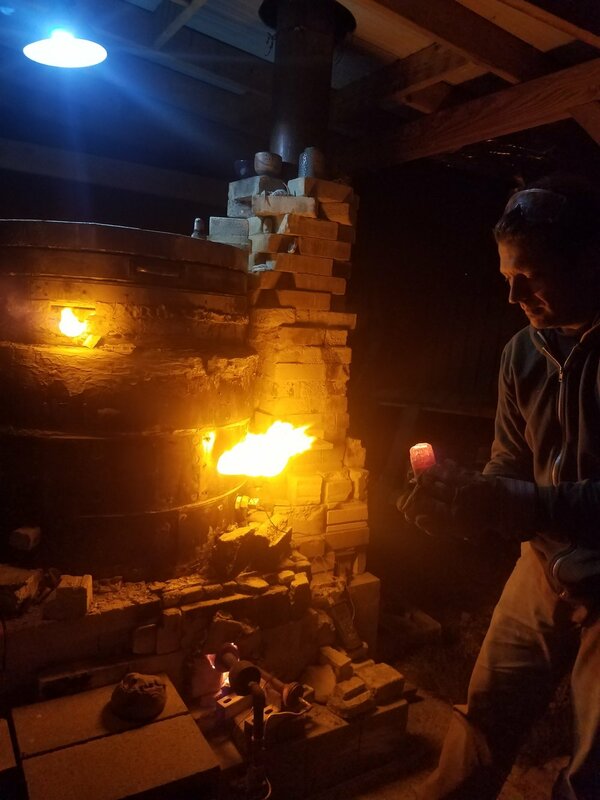 In addition to learning how to make, load, and fire pots in a soda kiln, we were able to study and fire Damian’s up-cycled downdraft conversion kiln. It is a soft brick electric kiln body, with all the elements removed, an additional floor built with burner ports and a brick chimney. I was most excited to see how he had constructed his kiln. It is a much less expensive option for building a soda kiln and until I can save enough for an all brick kiln this is the best route to go. I was also able to soda fire some of this work created from the WCA scholarship with Chase Lilleholm at Pottery Northwest in their cross draft soda kiln. It was incredible being able to see a similar process in 2 different kilns and compare. The up-cycled downdraft kiln was a little smaller, and fired in reduction. Lots of soda ash build up, with bright intense flashing of reds, oranges on the clay bodies. The cross draft was fired in oxidation and then reduction cooled at the end. This created a juicy bluish green hue where the soda had built up, with softer blushes of pale pinks, oranges, purples and yellows, also lots of white/cream surfaces. One major misconception I had was thinking soda went through the kiln like fly ash in a wood firing. The ash flows with the flame, working tightly through all the pots, much as water flowing through a river flows through the rocks. However, the difference in a soda firing it seems, is that the soda combusts and creates almost a smog that hits the front loads but won't aggressively fight through the kiln, usually choosing the path of least resistance. By giving vessels more space in the kiln, staggering the height by wadding, or crowns, posts or tumble stacking, one may have fewer pieces, but more dynamic pots with a wide ranges of surface, from heavily blasted soda to brilliant flash marks. It is the unknown that entices me, to explore all the variables, to really see what the materials can do, often learning by what they can’t do. I was really happy with many of my pieces but more importantly was able to take away the experience of making, loading, glazing, and firing in a soda kiln. Being able to fire and absorb so much information has given me the experience and confidence to build my own soda kiln. I can't stress enough how invaluable this opportunity was for me as an artist. My work deals with using a variety of common household objects to create rich, in-depth textured patterns and designs. I believe these surfaces are greatly enhanced by the vapor effects of a soda kiln. I wouldn’t have been able to have this experience without the WCA Scholarship, and I am so grateful for everything I have learned through it. I highly encourage any WCA member to apply for the scholarship this year, it is an amazing opportunity you shouldn’t pass up. Welcome to this next installment of Meet a Member! In this post, we will meet Stephen Mickey! Thank you Stephen for sharing a bit more about yourself! Please share your favorite clay tips or trick: I teach one hand throwing. Background: When and/or how did you get started working with clay? I started working in clay at the University of Minnesota as a premed major. One look at my instructor, David Standard, making a pot change my life and I said “that’s it, that is how I want to spend my life.” My sponsors i.e. my folks were not impressed, feeling that medicine would a better choice for a livelihood. They may have been right but I have not looked back and I got to catch of few babies a long the way. How has your practice change over time? For most of my life I have been teaching full time and only in the last 5 years since stopping public service at Mt. Hood Community College have I had access to my studio daily as I wanted. What jobs have you had other than being an artist? Did this influence your work at all? As a college instructor student provide such a deep reservoir of ideas to share and bounce around with. What inspires you? My family, Nature and great pots. What venues do you use for sales? Which are most successful? Mostly my holiday sale at my studio.I also take pots with me to sell while I am offering workshops. I usually take Yunomis and little whiskey cups to these events. I’m doing workshops in Hawaii at the Donkey Mill Art Center this February and am teaching for two weeks at laMeridiana in Tuscany for the first 2 weeks of May. This year I was invited to the St.Croix Valley Potters Tour which was a terrific sale . Very educated pottery buyers, Now that I am in the studio more I need to find another outlet for sales. I’m going to add a spring sale at home. What social media platforms do you use and which are your most successful/favorite? I use Instagram (@stephenmickeypottery),email and Facebook mostly as an amateur. I know there is a lot of room for more creative use. What is your best marketing tip? Make what you love, educate your clients about what it is you do and why . A newsletter on a regular basis helps people stay interested in you and your work. Congrats to Rupa Palasmudram and Vickie Sanders for their winning soup entries at our Winter Social soup cook off competition! Dreaming of a warm, colorful soup to warm up during our gray winter? Look no further and start with Rupa's Butternut Squash and Sundried tomato soup. preheated oven at 375 degrees for 25 minutes, or until soft. 3. Add chopped onions and sauté until tender. water until you reach the desired consistency. 8. Add cream, garnish with parsley, and serve hot. Welcome to the next installment of Meet a Member! In this issue, meet Amy Popelka from Bellingham! Years working with clay: I have been working as a ceramic tile artist for three years. Location: I have lived in Bellingham Washington for 12 years now, it is a pretty fantastic town for artistic inspiration and is highly supportive of the arts. saver and keep my tiles looking nice and flat. that the clay does not stick to the metal plunger. have a website www.tactilecompany.com . because it is always something new that I may not have done otherwise. sunset by hand on each one of those to make each sunset truly unique. Welcome to our next installment of Meet a Member! We are featuring Brenda Lovie - co-president of the WCA! Read on to learn a little bit more about her and her work. Describe your process and materials: For functional work I throw on the wheel and alter by hand. Lately I’ve been using porcelain and terra cotta. I recently learned how to make plaster molds and am looking forward to experimenting with slip casting. What is your favorite tool: I love all my hand carving tools, especially the little loop carving tools. I also like to use garment pattern making tools as well as French curves and rulers. How practice changed over time: I used to only wheel throw. Now I love to experiment with hand building vessels as well as sculptural pieces. I love to take classes and learn new tricks and techniques. What jobs have you had other than being an artist: After attending the Fashion Institute ofTechnology in NYC, I worked as a fashion designer. Soon after my first proper job I started my own business designing and manufacturing ice skating and dance costumes. I am also a Professional Figure Skater and have coached ice skating most of my adult life. What’s the best piece of advice you’ve been given working with clay: The one thing that stands out in my mind is, you can’t rush clay. Impatience has been and still is an important lesson for me to learn. What is the best advice you’ve received about creativity: Make what you love and not what you think people want to see. What inspires you: I am inspired by color, patterns and texture in textiles. I also like architecture and the geometry of things. We are excited to share an article written by WCA Member Elinor Maroney about Clay Art Center's new ownership by Quinn Brougher! It turns out Quinn Brougher had finalized the paperwork just a few months before and is still in the process of finding out just how it all works. Part I: The next time I was in Tacoma I interviewed Quinn in order to inform the pottery public about the change. EM - How did you come to pottery as a career path? QB I did a couple years of college at Evergreen in Olympia but didn’t know what I wanted to do so dropped out and later went back to Olympic Community College and found myself skipping all my other classes so I could spend time in the pottery. When I found a “Help Wanted “ ad from Clay Art Center I applied and got a job. I started learning all there was to the business of clay – got my college education right here! Joe and Kim were patient and good teachers. I started learning about clay bodies and glaze chemicals at Clay Art Center with excellent mentors and teachers. EM How long ago was that? QB - I started here about 2005 – so 12 years ago. I worked here and learned “on the job” for the next 2 ½ years. Then Joe got a phone call from Bliss Pottery in Anchorage. They needed a production potter. He asked me if that’s what I wanted to do and after an hour on the phone I agreed to work there for a while. I drove up the AlCan Highway to Anchorage and enjoyed throwing pots for 2 years – another great learning experience. EM - How did you end up back here? QB - The glaze tech told me he was leaving and maybe I could come back and take his job. After another hour on the phone, I was on my way back to Tacoma. A bit of a problem as I didn’t know chemistry. Oh, well, that can be overcome. I was the glaze tech for the next couple years. I learned a lot from my great teachers! EM How about a little of the history of CAC? QB - I understand that Joe and Kim bought out a small pottery supply business that used to be on Pacific Highway in order to buy supplies for making their own pottery which was selling pretty well – like at the Puyallup Fair every year. Well, it didn’t take long for the business of selling clay and supplies took over and they didn’t have time to make pottery themselves anymore. They bought a bigger building to house the business about 1984 and added warehouses later for storage and clay and glaze mixing. They have been quietly planning for this transition of ownership for a couple years. And Prepping Quinn to take it over. My wife Val and I have bought a house in Tacoma now and are settling in. EM – Any changes made in personnel? Any employees held over? QB - The truck driver, Matt Anderson, knows the area and is still employed. Cruz Rojas, the clay maker and the warehouse man Clayton Woolard, are staying on for continuity. Larry Douglas comes from Olympia every day to take care of the computer needs at CAC. He has been a steady and consistent presence. I have hired two new employees to fill in where needed. EM - Are you planning any major changes or making plans for the future we should know about? QB - At this point I am hoping to continue the customer service that Joe and Kim worked so hard to keep up and maintain the quality control over our products. EM – Thanks Quinn. I know that is why potters are willing to drive extra miles to purchase supplies here in Tacoma. LATE NEWS FLASH! Quinn and his wife just had their first child – a girl born December 24th named Charlise. Original partners: Interviews with Joe Brecha who lives in (and commuted from) Elma, west of Olympia where he is enjoying (and getting used to) retirement. And Kim Lyle who lives in Tacoma. I’m sure both of them are thinking about making pottery again. John and Belva Bull had a craft supply and gallery space in Tacoma in the 70’s where Joe and Kim worked right out of college. They did craft fairs and sold in local markets and were paid to make production pottery for the Bull’s retail gallery. Joe was still doing craft fairs until the late ‘90’s. kept adding one thing at a time as they learned the business. When they needed help, they added employees until they had a going concern. When the building they were in came up for sale in the early 80’s, they searched till they found the building on Pioneer – one large warehouse where they could make clay and do anything they wanted. They turned the “mud pit” in the back yard into another warehouse in later years as their needs expanded. They bought delivery trucks and expanded their reach across the Northwest with contacts in Alaska, Montana, Hawaii, and Oregon as well as Washington. As their employees moved on and became teachers they purchased clay and supplies from CAC and passed the word. Local art departments in colleges and high schools ordered their year’s supply of clay, equipment and glaze materials from CAC. The children of Joe and Kim all worked at Clay Art Center through high school and into their adult years though none of them continues in clay. I think both Kim and Joe will get back to working in clay in the near future. They are both enjoying a period of “retirement” and making plans for the future – whatever it may hold. Business Hours: Monday – Friday 9:00am-5:30pm; Saturday 10:00am – 2:00pm. Check their web site for January Specials and featured products. CAC shares a list of clay classes and places to get your firings done around the South Sound area. Welcome to our next installment of "Meet a Member"! We are excited to introduce Briggs! Describe your process and materials: I use mid-fire porcelain (mostly Laguna ^5 Frost), and a variety of colored slips for decoration. My work all starts on the wheel, gets trimmed and smoothed, and then I incise lines in simple patterns. These lines get filled with black or dark slip then cleaned up with a metal rib to look sharp. Then, I'll brush colored slip on the inside and foot of the pot and sign the bottom. After bisque, I spend some extra time sanding to make sure all the surfaces are very smooth and any slip smudges are cleaned up. Glazing is a simple coat of clear inside and out. I fire to ^6 in an electric kiln. A quick clean and bottom sanding after they come out of the kiln, then they're done! What is your favorite tool? A steel pen I found in a machine shop years ago. It's what I use to sign my pots and the tip is very sharp, but not thin like a needle. I love it. Please share your favorite clay tips or trick: After you learn the basics, the clay is your best teacher. Making a piece is a give and take process, especially when you're working with porcelain which definitely has its own ideas about what it can and can't do. When and/or how did you get started working with clay? I remember the first time I saw someone throw a pot on a wheel. I was 5 and it looked like magic. I don't remember the first time I got to finally try throwing, but I knew it would be my life's passion in college when I just couldn't stop taking ceramics classes despite my Interior Design major. I've had a number of teachers, but not one specific mentor. I've found places to work in clay in each city I've lived in, treating it as a hobby or side project for a number of years as I pursued other careers. In 2015, a friend encouraged me to have a booth at her group's craft show. Soon after, I found the Ceramics Center in Cedar Rapids IA, and they invited me to become a Resident Artist. It wasn't till around this time that I realized that I could make this my profession, and started seriously applying to shows. The last few years have been moderately successful, and I'm so very grateful that I've been able to focus on something I love so much. How has your practice change over time? I've been in a lot of different studios with different rules about what types of clay and glazes can be used. In all of them, I've tried my best to create work in my own style. Thinking back, I'm kind of pleased that I've been so true to my aesthetic for so long. While I've explored differences in shape and form, my look has always been very clean with simple color block or line designs. I feel like I'm searching for the perfect form, and each new studio environment has given me a new opportunity to find it. What jobs have you had other than being an artist? Did this influence your work at all? In college, I waited tables to pay my living expenses. I got an Interior Design degree in 2007, tried designing kitchens and baths for a couple years, then moved on to managing a non-profit. When the funding ran out there, I went back to waiting tables. I worked as a graphic designer for a couple years, then when I was obligated to move across the state, went back to waiting tables. My life and career has been a roller coaster. I'm very grateful that I found serving early in life and actually find it a wonderful partnership with my studio work. At my restaurants, I'm sociable and outgoing, and always moving quickly. At my studio, I'm quiet and introverted and move slowly and thoughtfully. Also, serving pays well and has allowed me a measure of financial stability I didn't have in entry-level jobs. Always tip your servers 20%. We work hard for it. What’s the best piece of advice you’ve been given working with clay? That thing I said above about the clay being your best teacher. I really wish I remember where I heard it first, but I definitely took it to heart. You have to pay really close attention to what the clay is telling you. Push just a little to hard, or move too abruptly and it will not give you the result you want. This way, you learn to feel every minor bump and wobble in the turning clay, and learn how to thin and smooth them. What’s the best advice you ever gotten about creativity or being an artist? I actually just got my favorite piece of advise from a friend this morning: You are your own boss. You decide what day is a studio day, which pieces are good enough to sell, and how hard to push yourself. This was both comforting because it gave me permission to take a day off when I wasn't feeling well, and really sobering because it reminded me that my success is totally dependent on me. What inspires you? I actually don't think I'm inspired as much as I'm motivated. I feel like I've been on the same journey working toward the same perfection of form for a lot of years now, and that motivation has never waned. When people talk about inspiration, they're usually talking about getting new ideas, but I feel like I've been chasing the same big idea my whole career, and I think I might chase it for the rest of my life. For some people that might sound exhausting, but for me it sounds comforting. I just want to keep my hands in the soft clay and inch it closer and closer toward the perfect shape and surface, a little better every year. WCA member Chris Nielsen sent us this message containing a survey about selling your work. This looks like it could gather some interesting data, check it out below! Dear WCA members—I’m curious how other people market their work and how they’re doing. I’ve put together a short survey and would appreciate responses. It’s obviously self-selecting and unscientific, but it could still be interesting. I’ll compile responses in an anonymous, numerical way and share the results. If I only get a few it won’t be informative, and in that case I’ll just report that without going into the details. Note that I’d also like to know if people do not sell. By way of background to this, I moved to Shoreline in 2005 after having been in the Oregon Potters’ Association for ten years. OPA’s annual Ceramic Showcase was a big focus of its work, and involved a lot of very professional potters. I’m only semi-professional, probably like most of us. I’ve had work in a number of galleries in this area and Portland, and in several regular sales. Both galleries and sales have come and gone over the years, and my sense is that selling opportunities aren’t what they used to be. I’ve even wondered if pottery is going out of fashion—maybe it’s a boomer-hippie thing? What’s your impression? Please email your response to chris@cwnielsen.us . Where do you sell your work? Note all that apply. Which of these generates the most income for you? Do you consider pottery sales to be an important source of your income? Have your sales been increasing, decreasing, or staying about the same over the last few years? Say if you don’t know. How about your sales venues? Have you made efforts in the last few years to expand your selling opportunities? How? We all have our favorite tools! I this article Karen shares her "whys" about how well these particular ones work for her. The winter social was a blast!